Musix.eanswers.com is the PUP that uses misleading techniques to prevent removal. Use Reimage to locate malicious components and get rid of them faster than with uninstall instructions. A full system scan blocks virus reappearance and prevents traffic to malicious domains. “Musix.eanswers.com virus” is a term by which users refer to a browser hijacker  infection that takes over the place of their browser’s default search engine and homepage. This suspicious search provider seems to be a side project of another US-based web content provider eAnswers.com . It is most likely that Musix search is just another way to advertise and monetize  the eAnswers services. 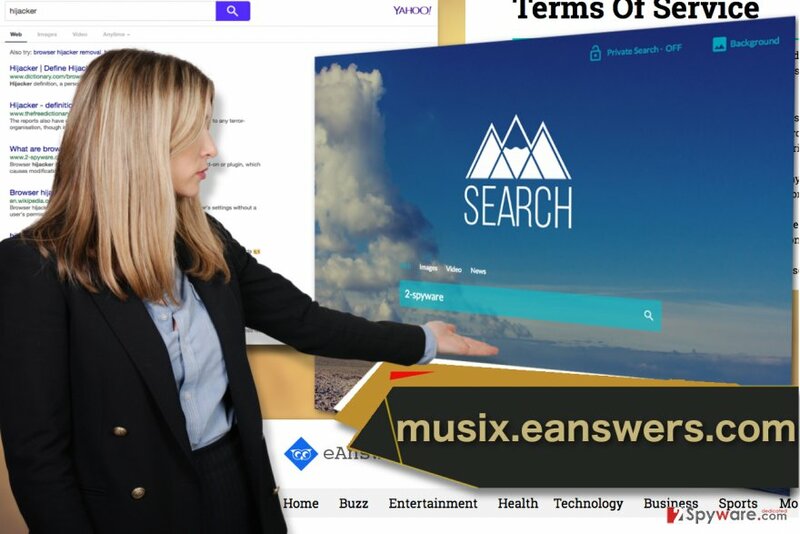 Unlike its parent website which offers answer-question model to find out the desired information, Musix.eanswers.com is more of a typical search engine and employs search.yahoo.com engine to display the search results. While the site’s modern design and functionality seem to be following top standards, users who had experience using this service have some very unfavorable opinions about it. Most of them claim that they have not even intended on using Musix in the first place and that it showed up on their computers out of the blue. Others add that they have also noticed suspicious activities on their devices, following the infiltration. In particular, users point out redirects to random websites and an increased amount of online advertising while browsing the web. 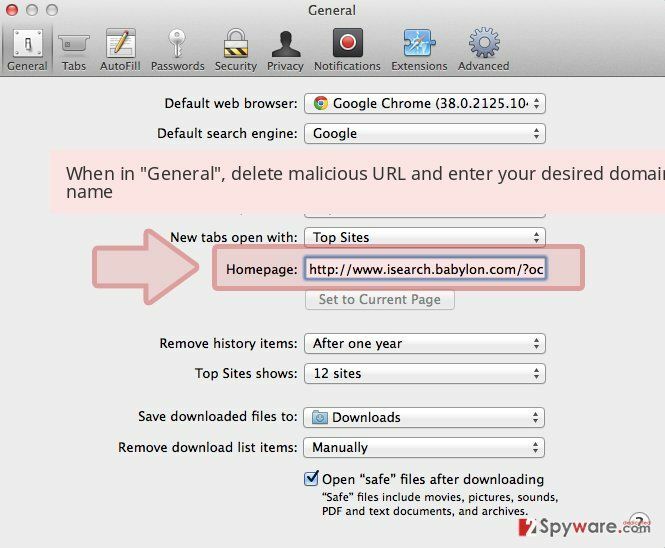 Having in mind the program’s origins as a browser hijacker, it is also possible that it collects data about the victim’s web surfing habits and uses it to generate individually targeted ads . 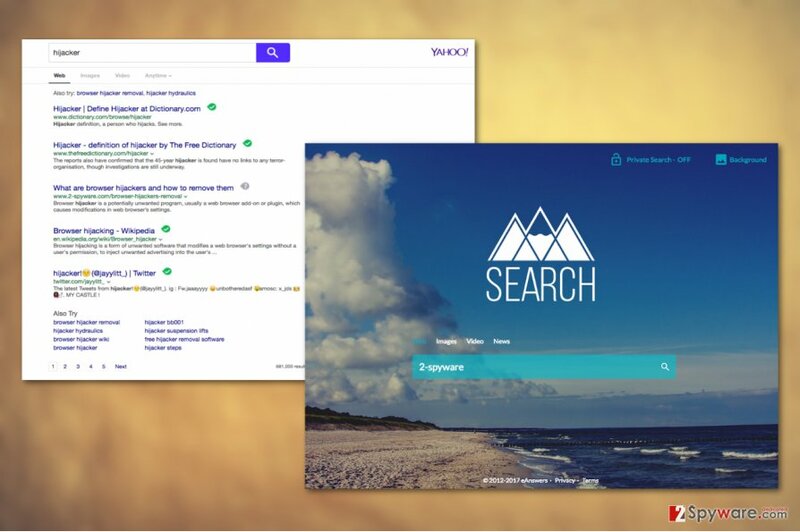 If that’s not quite the search service you are going for, you should remove Musix.eanswers.com from your computer and look for other options instead. Reimage is a software we recommend you to try out if you are looking for a quick virus removal solution. Technically speaking, Musix.eanswers.com is not a malicious virus and not even a malware at all. It is a potentially unwanted program  that might possess some traits of the dishonest software but is relatively harmless to the computer itself. Nevertheless, there are some factors that put it on the “unwanted” shelf. These include the previously mentioned data tracking, extensive advertising and poor choices of distribution. Thus, even if the software will not violate your computer itself, it might cause problems by redirecting you to potentially infectious websites or displaying tons of unverified ads. This only proves that even the least harmless parasite should not be left unattended and that you should perform Musix.eanswers.com removal as soon as you notice it on your computer. The image above displays Musix.eanswers.com as it is encountered on the hijacked computers. Musix.eanswers.com is a virus that mainly relies on other software to get into the computers. In particular, malware developers tend to hide the permission to make Musix as the default homepage and search engine inside the “Advanced” or “Custom” software installation settings. They take advantage of the sad statistics which show that quite considerable part of home users hesitate to choose these particular modes when setting up software on their computer, often because such installation is time-consuming. Nevertheless, you should know that it is not particularly smart to save time on account of your system’s security. It is better that you spare these few minutes of your time to install software properly and prevent Musix.eanswers.com or other undesirable programs from entering your computer. If you are wondering what is the best method you can choose for the Musix.eanswers.com removal, look no further and opt for the automatic system scan. Obtain some specialized software, say anti-spyware, anti-malware or antivirus utility and use it to run an in-depth scan of your system. After the scan, reset your browsers and restore their default settings. For the users who, for one reason or another wish to remove Musix.eanswers.com virus from their computers manually can use the tutorial prepared by our experts below the article. Here, look for Musix.eanswers.com or any other recently installed suspicious programs. Wait until you see Applications folder and look for Musix.eanswers.com or any other suspicious programs on it. Now right click on every of such entries and select Move to Trash. When in the new window, check Delete personal settings and select Reset again to complete Musix.eanswers.com removal. One is to remove the PUP from the system, but it is quite another thing when it comes to its elimination from the infected browser. 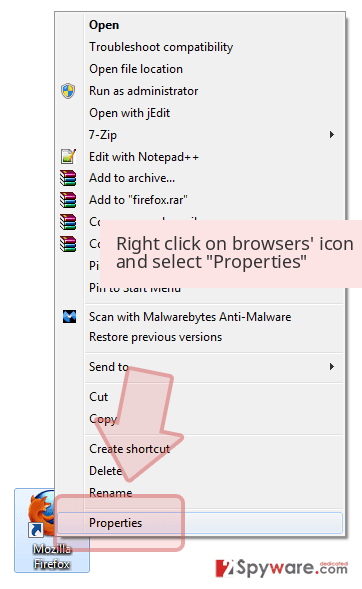 Below we present a couple of methods you can use to remove the hijacker from your Microsoft Edge browser. Once these steps are finished, Musix.eanswers.com should be removed from your Microsoft Edge browser. Here, select Musix.eanswers.com and other questionable plugins. Click Remove to delete these entries. Now you will see Reset Firefox to its default state message with Reset Firefox button. Click this button for several times and complete Musix.eanswers.com removal. 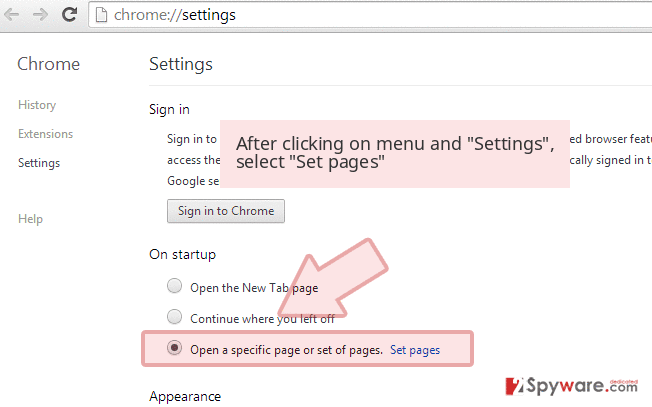 When eliminating browser hijacker from Google Chrome the main aspects you should focus on is cleaning up the list extensions from undesirable components and reset the browser to roll back any changes that may have been made to it without your knowledge or permission. Here, select Musix.eanswers.com and other malicious plugins and select trash icon to delete these entries. 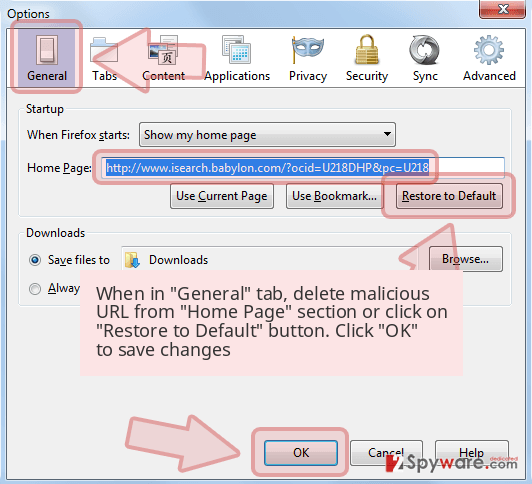 Click Reset to confirm this action and complete Musix.eanswers.com removal. 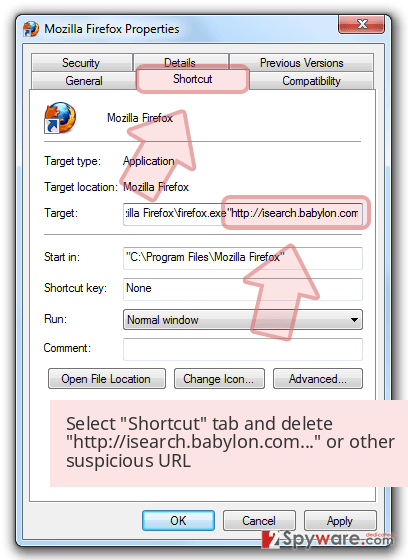 Here, select Extensions and look for Musix.eanswers.com or other suspicious entries. Click on the Uninstall button to get rid each of them. Here, look at the Homepage field. If it was altered by Musix.eanswers.com, remove unwanted link and enter the one that you want to use for your searches. Remember to include the "http://" before typing in the address of the page. Now you will see a detailed dialog window filled with reset options. All of those options are usually checked, but you can specify which of them you want to reset. Click the Reset button to complete Musix.eanswers.com removal process. ^ Michelle Delio. Browser hijackers ruining lives. Wired. Get in-depth coverage of current and future trends in technology, and how they are shaping business, entertainment, communications, science, politics, and culture. ^ Answer Searching & Answer Search Engines. SearchEngineWatch. News articles, guides, reviews and commentary about Search, PPC, Social, Mobile, Analytics and more. ^ Todd Steel. 4 Trends driving software monetization. MachineDesign. All news about technology. ^ Targeted advertising. Wikipedia. The free encyclopedia. ^ What is a Potentially Unwanted Program (PUP)?. Mcafee. Securing tomorrow. Today.. This entry was posted on 2017-05-07 at 12:00 and is filed under Stealing programs, Viruses. You can quickly scan the QR code with your mobile device and have Musix.eanswers.com virus manual removal instructions right in your pocket. How did you remove Musix.eanswers.com virus?